Welcome the Year of the Pig with family activities at Supa Centa Moore Park. 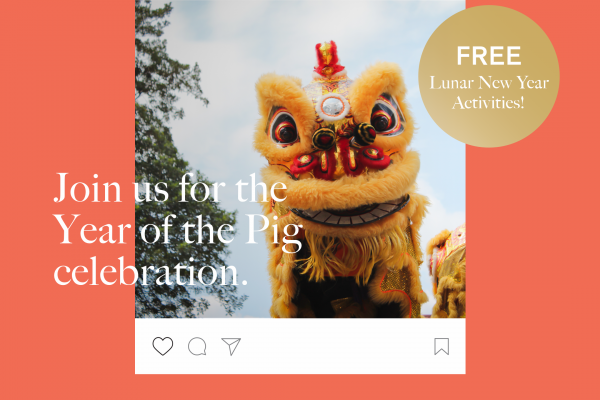 Join in the Chinese New Year festivities this year of the pig with free lantern making workshops. Design and create your very own paper lanterns to take home and celebrate. On Saturday 2 and Sunday 3 February, 2019 between 11am – 2pm. Workshops last approximately 20 minutes with limited spaces. Located on Ground near Natuzzi Italia. The workshop is available on a first come, first served basis. Spaces are limited. With plenty of drumming, flamboyance and skill, the Jin Wu Koon Lion Dance team bring Lunar New Year to Supa Centa Moore Park. 1,000 years.The thunder of drums helps scare away the bad fortune of the previous year to ensure a happy and prosperous Year of the Pig. Catch the Lion Dance performance on Saturday 9 February, 2019 at 11.30am. Each performance lasts approximately 20 minutes and will roam the centre.